Welcome to Tin Roof Dairy ice cream parlor, a new business in downtown Baraboo, WI. We are excited to tell you about this full-service ice cream parlor, which will carry 32 flavors of ice cream, as well as homemade sodas poured by uniformed soda jerks. TRD will be outfitted to look and feel like a 1940s parlor, including a hardwood bar, antique soda fountain, and period furniture. The website will continue to evolve and grow as we get closer to the grand opening. 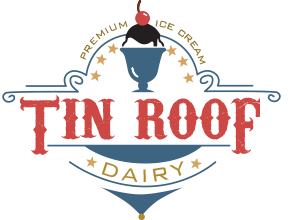 Tin Roof Dairy is scheduled to open in March 2019. Visit my Facebook page often to keep track of our progress as we move forward towards opening our doors. Follow TRD on Twitter and Instagram, as well. I am currently raising funds to outfit the ice cream parlor with the necessary 1940s fixtures. Any support is greatly appreciated. Visit my GoFundMe site for more information and to donate. Thank you for following me as I continue my journey towards opening up my dream ice cream parlor in beautiful downtown Baraboo, WI.